Flewitt confirmed that the brand was working on a pure EV to sit in the range-topping Ultimate Series, but insisted a spiritual successor to the hybrid P1 didn’t form part of the manufacturer’s Track22 business plan. 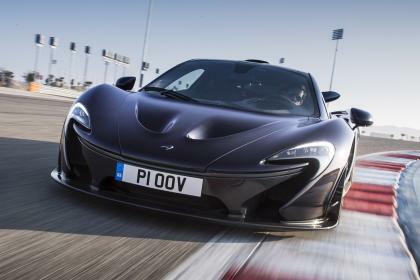 A direct replacement for the P1 is, therefore, at least seven years away. When it arrives, the car will be able to withstand ’20 to 30 minutes of track use’ with a minimum range of ‘at least 300 miles.’ A test mule for the EV hypercar is also under development based around the old MP4 12C coupe. “Going to an EV has to enhance the driving experience. We’re not going to present an electric sports car with an apology that says ‘sorry it’s not as exciting as your V8’,” Flewitt told us. “When we present an electric sports car it’s going to be the most exciting sports car we’ve ever launched. McLaren announced its Track22 plan at March’s Geneva Motor Show, ensuring at least 50 per cent of its cars would feature hybrid or electric tech by 2022. The proposal included a £1billion investment in R&D, forming the basis of 15 new models or derivatives before 2022. “An electric McLaren would need to manage 30 minutes on track with a 30-minute break before heading back out again. We won’t see the next P1 before 2022, but there could be another Ultimate Series car before that,” another insider told Auto Express. The key debate at the moment focuses on weight. Adding electric power usually makes a car too heavy, yet McLaren values its lightweight construction. The new car would need to be lighter than the P1 – hardly a heavyweight itself – meaning the next few months and years will prove pivotal in the quest for a super-lightweight design for the McLaren pure EV. Despite all the new technology and hypercar levels of performance, our insider said that an Ultimate Series car “doesn’t have to have a £1million price tag”. They did, however, insist that it would be built in limited numbers and with “singular focus” – in this case, a pure electric drivetrain.